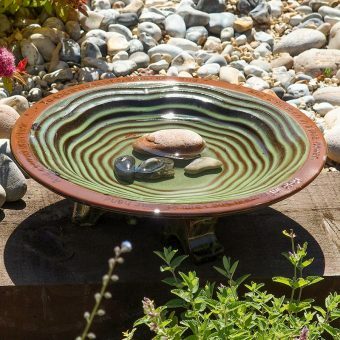 This year GreenArt will be holding its first sunflower growing competition. 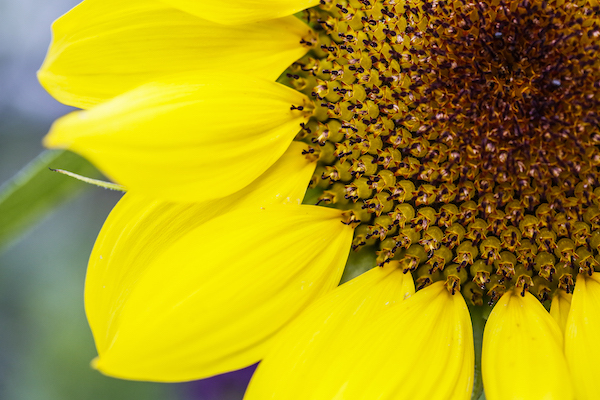 Inspired by The Big Sunflower Project, we’re helping to raise awareness of rare neuromuscular conditions known as centronuclear and myotubular myopathy, by asking people to grow a sunflower. 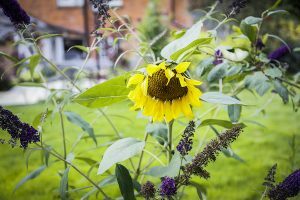 Our resident green-fingered blogger Jenny was inspired to give this a go and get her colleagues, clients, friends and neighbours planting sunflower seeds and then sharing photos of them as they grow, with The Big Sunflower Project. 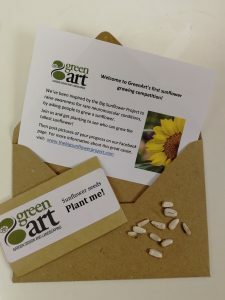 We started by sending packets of sunflower seeds to our clients, with instructions on how to plant and care for them and asking them to send in their photos so we can share them online. Next week all our staff will be given some seeds to sow and they’ll all be competing over the next few months to see who can grow the tallest sunflower. We’ll keep you posted on progress. The Big Sunflower Project raises awareness of these rare conditions by sending seeds to people who have never heard of them and requesting photos in return. The photos are posted online which again raises awareness of the conditions. 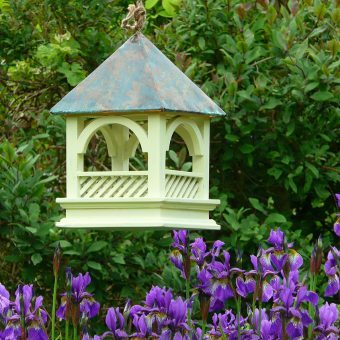 Plant your seed outside in April once the chance of frost has passed. You can start them off inside but it is just as easy and you are more likely to grow larger blooms if you start them off outside. 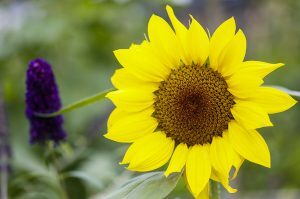 Sunflowers can be sown straight in to the ground where they are going to flower, so make sure the space you are going to sow is weed free, by using a trowel to remove the weeds. Make sure to plant them where they will get 6-8 hours sun per day – this is what they need to grow successfully. Rake the soil to a fine tilth (a fine crumbly texture) and make some drills 12mm deep. Leave a 10cm space between each seed if you are sewing more than one. Place the seed in carefully and cover them up with soil. Don’t forget to water the seeds gently. 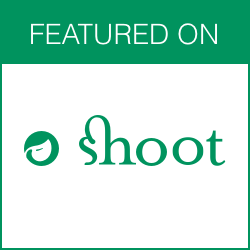 Be careful, as slugs and snails like to eat the new shoots. You may like to protect the seedlings by cutting the top off a plastic bottle and placing it over your seedlings. As your sunflower begins to grow taller than you, you will need to help support the stem, by placing a cane near the stem and loosely tying the cane to the plant with string. Once they start growing, please post your photos on Facebook and Twitter remembering to tag GreenArt or @greenarttweets. We will include the best pictures and tallest flowers on our blog, along with the results of our staff competition here at Green Art. You can also post your results to ‘The Big Sunflower Project’ twitter, facebook and Instagram using their link here www.thebigsunflowerproject.com and we would also encourage you to make a donation to their project here to benefit people with rare neuromuscular conditions. All staff here are being encouraged to make a donation and Green Art will match the staff donations made as well. 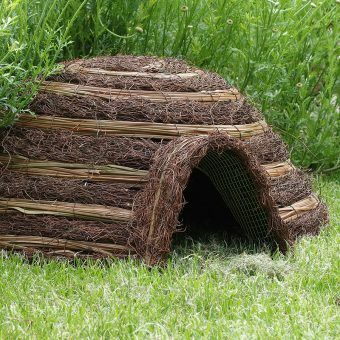 From planning a wildlife garden, building hides, constructing ponds and streams, creating paths and planting trees and shrubs.